I would like to estimate the amount of time a pilot would have before a forced landing after suffering engine failure in a Bell 47-H at 1,000ft. This is for purposes of understanding a historical accident. The pilot in question ran out of fuel so the tanks were empty. Many thanks. As we climbed for an autorotation Sean explained that the yellow line around the bubble effectively demarcates your autorotation options − you can land on anything under the line, you’d be pushing it beyond that. With the inertia of the -23 model blades and their nine-pound tip weights, the entry is smooth and unhurried, the descent at sixty knots bringing up about 1,700 fpm, and the flare stress-free − very different from the crash-bang-wallop engine-offs of the low-inertia world. Around 1700 feet per minute in auto. The Bell 47 is known to be one of the most forgiving helicopters to autorotate, thanks to the large blades with weights on the tips... what is known as a 'high inertia' rotor system. The opposite is a 'low inertia' rotor system such as the Robinson series, which requires less power in flight, but the lighter blades don't retain nearly as much inertia in an auto, giving one less latent energy to use during the final flare, and a more slender margin of error. On my daily commute, I used to admire a Bell 47 I'd see out doing traffic reporting duties. An article popped up in the local paper on how that particular 47 lost engine power at 2000 feet... it was fresh out of an overhaul. The 47 was landed with only a ding on one skid... no report on the damage done by the pilot to the mechanic who overhauled the engine, but I suspect it may have been more than a bent skid. Somebody might be able to provide some actual numbers, but fwiw, you could look for a H-V curve (height-velocity) chart. I can't find one for the 47H but here's one for the 204B. It doesn't show any times, but it will show the height and forward speed combinations that should allow for a safe autorotation. Anything outside the red shaded area should be safe. The curves are created by test pilots, but are based on "minimum ability." Of course, that doesn't account for what you have below you to actually land on. t sec = square root (1000 ft *2 / 32 ft/sec^2) = or about 8 seconds. Is that enough time to get the blades spun up for autorotation? I don't know. Not the answer you're looking for? 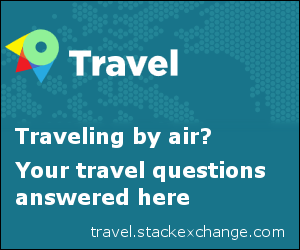 Browse other questions tagged helicopter accidents auto-rotation or ask your own question. Is it even remotely feasible to turnback a single engine aircraft with an engine failure? Where can I find records about accidents in the South Vietnam Air Force? What are the bump outs on a Bell 430 helicopter for? What is this piece on the Bell 206? What is the difference between the Bell 412 and the Bell CH-146 Griffon? What fuel would a Bell Huey helicopter use in 1964? 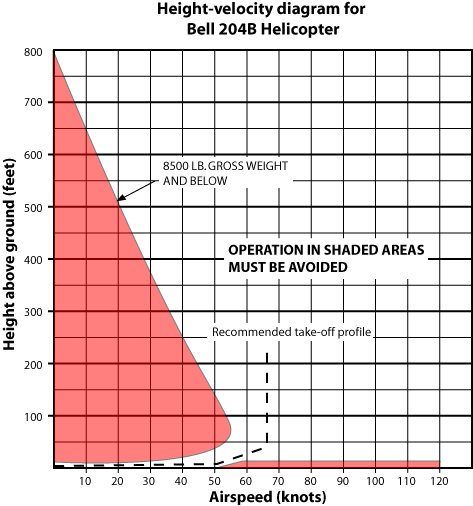 What is the typcial descent rate of a helicopter? What is the rod attached to the top of the Bell UH-1N's rotors?